Temporary Residence - Immigrating To Canada - Jane Katkova & Assoc. Whether you choose to come to Canada as a tourist, temporary worker, student or would like to travel for business matters, there are several programs offered by the Canadian Ministry of Citizenship and Immigration to provide you with an appropriate type of visa. All programs are different and have their own special requirements and specific privileges. Before coming to Canada visitors must apply for temporary admission to Canada through the Canadian Visa Mission in the country of their nationality or permanent residence. 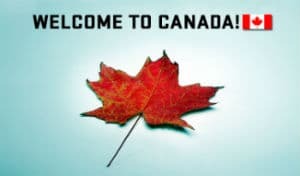 If you have been legally staying in a country different from the country of your citizenship or permanent residence for at least 12 months, you are allowed to apply through the Canadian Visa Mission of this country. If you apply for a temporary resident visa (TRV), study permit, work permit or file a permanent residence application, you must provide biometrics. Citizens of certain countries are exempt from obtaining an entry visa to Canada through Canadian overseas Visa Missions and can seek admission to Canada at the port of their entry. If you are a visa-exempt foreign national, starting from March 15, 2016, you will need an Electronic Travel Authorization (eTA) to be admitted to or transit through Canada. For more information on eTAs, please refer to the website of Immigration, Refugees and Citizenship Canada or contact us to learn how to apply for eTA.